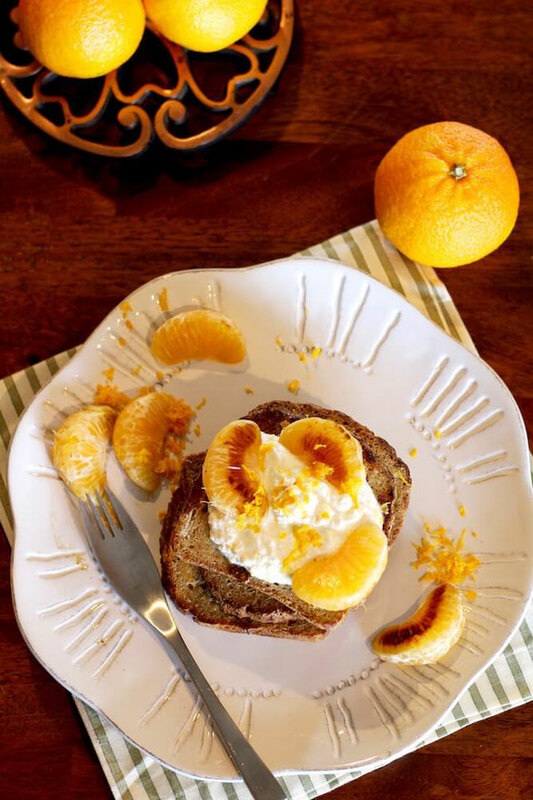 This French toast recipe combines sweet mandarin oranges with creamy ricotta for a delicious, protein-rich breakfast. Disclosure: While Wonderful Halos is a client of mine, I was not compensated for this post. One of my favorite weekend morning activities is making French toast (like my Pomegranate Pecan French Toast and my Baked Butternut Squash French Toast). It's a fun way to add some eggs to my morning, and I love topping my French toast with fruit for some sweetness, instead of syrup or butter. Because mandarin oranges are in season this time of year, I thought I'd try something new: mandarin orange French toast. I hope you love this mandarin orange recipe as much as I do! After I created a batter of eggs, low-fat milk, and vanilla extract, I pan-heated mandarin orange slices to bring out their sweetness. Part-skim ricotta is one of my favorite cheeses, and I like how it adds some creaminess and moisture to the French toast without a ton of added sugar like maple syrup or fat like butter. 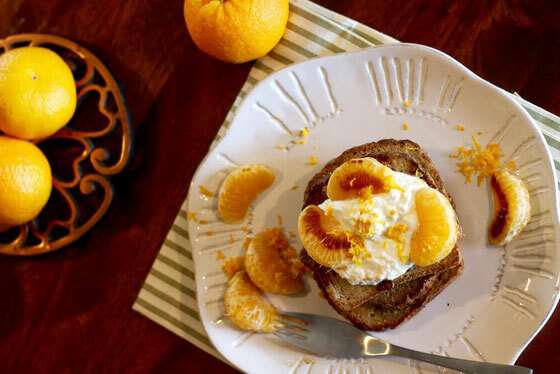 So I decided to top my French toast with both the mandarin orange segments and a ricotta mixture. 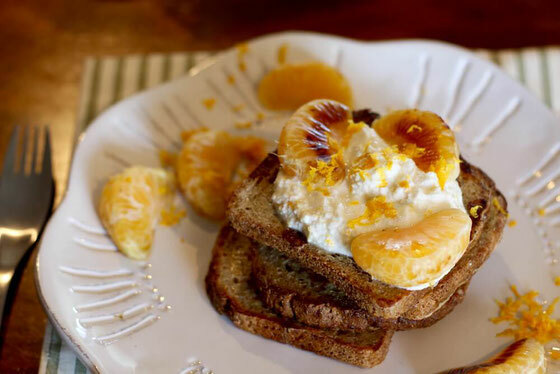 The ricotta adds protein to the French toast—so much so that when combined with the protein from the eggs and whole-grain bread, each serving of French toast offers 25 grams of protein, or half the daily value! with remaining vanilla extract. 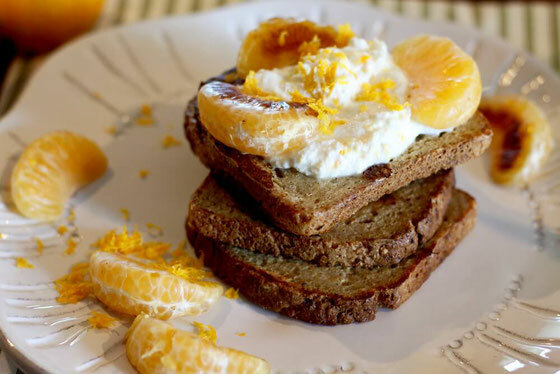 Top toast with ricotta mixture, orange segments, and a sprinkling or orange zest. Serves 2. What are your thoughts on this topic? What are your favorite ways to eat mandarin oranges?